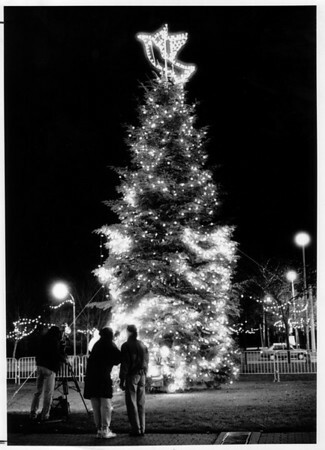 Videographers film the lighting of a 40 foot Christmas Tree by Oxy Chemical. Families said hello to loved ones in videos which will be sent to the Military in the Gulf. Photo - By Elisa Olderman - 11/29/1990.